Angry colonists labeled this particular Coercive Act the “Murder Act,” because it offered a means for accused murderers to escape colonial justice. The Administration of Justice Act, or Act for the Impartial Administration of Justice, also popularly called the Murdering Act or Murder Act, an Act passed by the Parliament of Great Britain (citation 14 Geo III c. 39) and becoming law on May 20, 1774, is one of the measures (variously called the Intolerable Acts, the Punitive Acts or the Coercive Acts by those whose political agenda ran contrary to Parliament's) that were designed to secure Britain's jurisdiction over her American dominions. 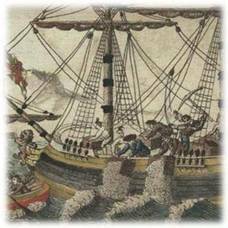 These acts included the Boston Port Bill, the Massachusetts Government Act, and the Quartering Act. To assure trials more conducive to the Crown than the prejudices of local juries, the act granted a change of venue to another British colony or Great Britain in trials of officials charged with a crime growing out of their enforcement of the law or suppression of riots. Witnesses for both sides were also required to attend the trial and were to be compensated for their expenses. The Act was repealed by the Statute Law Revision Act 1871. 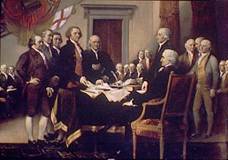 Worried by the courts that convened in America and in Massachusetts in particular, and their bias toward the colonists over their British governors, on May 20, 1774, the Parliament passed the Administration of Justice Act. It provided that the governor of Massachusetts had the authority to remove any trial proceeding to another colony or to Great Britain; that witnesses could be compelled to travel to the trial; and that in any case, bail was required even in capital cases if the defendant contended that the crime of which they were accused was committed while acting in an official capacity, such as the suppression of riots. The act purports to induce public servants to perform their duties by removing fear of prosecution, a principle that extends to the United States, where any public servants are immune from prosecution for certain acts; however, the provision that the trial would be removed to Great Britain made it impossible to try persons who deserved to be tried; the compelling of witnesses to travel to Great Britain further made trial impossible (even though the Act did provide for the expenses of the witnesses to be paid). These provisions lead the colonists to rename the act the Murder Act, reflecting their fears that insurrections would be put down with deadly force. The Administration of Justice Act is one of the Intolerable Acts that lead to dissent in the American colonies and to the creation of the Declaration of Rights and Grievances in 1774. It is also known as the Impartial Administration of Justice Act. The other Intolerable Acts are the Boston Port Act, the Massachusetts Government Act, the Quartering Act, and the Quebec Act.